Come join a crash course cosmic adventure through the lives and ideas of Robert Anton Wilson! The Maybe Logic Academy is once again opening its invisible doors for an intensive 8 week RAW workshop, which leads directly into the premier of the highly anticipated stage adaptation of RAW’s Cosmic Trigger by Daisy Eris Campbell! The workshop is divided into four 2 week sessions, presented by MLA Alumni: Steve Fly Agaric, Propaganda Anonymous, Toby Philpott aka Bogus, and Bobby Campbell. Whether you are a new initiate to the Maybe Logic chaosmos, or a fully vested Ascended Master of all things maybe, there will be an abundance of RAW delight! For more info check out this smorgasbord of flying lasagna! A collaborative jimjam of like minded mutants and MLA critters creating new meps and mapaphors to help find the others just in time for space migration. “The biosphere—Gaia—the DNA script—is more intelligent than all individuals. Gene-pools and species. It has survived everything thrown at it for nearly 4 billion years, and is getting smarter all the time.”–RAW, Prometheus Rising, pg.181. “The instrument that measures all other instruments—the human nervous system—has its own laws, and one of them involves always seeing the results one wants to see until and unless something really startles the brain enough to reframe its experiences.”–RAW, Dangerous Experiments, Cosmic Trigger III, pg134. Presentation: More Discussions and Cussin about the ‘Illuminati’ Conspiracy Motif, plus more! In which we examine the language we us to describe the world, and the models we develop to try to explain it, or at least find our way around. Wherein we will endeavor to use the whimsical magic of art & technology to unleash the RAW power of change in ourselves and the world. PULL MY FINGER! 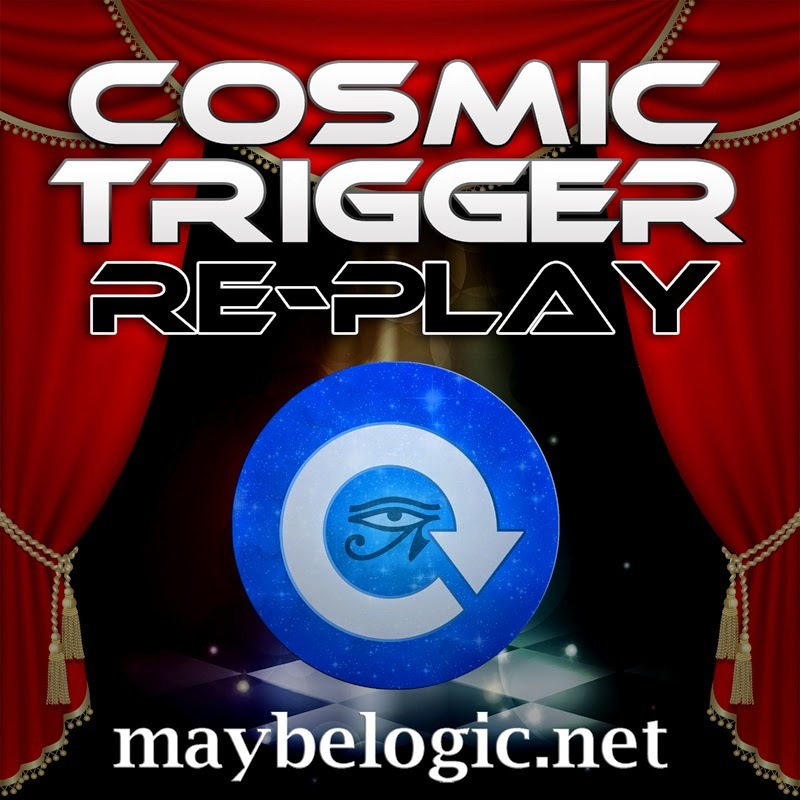 This entry was posted in 2014, bobby campbell, bogus magus, BUCKMINSTER FULLER, Conspiracy, cosmic trigger, Cosmic Trigger Play, Dome, MLA, Propanon, tale of the tribe. Bookmark the permalink.